Chub Pond lean-to 1 is unlike any other lean-to on the Adirondack Forest Preserve. I recently visited this spot in the Black River Wild Forest while surveying trail damage from ATVs. I had heard that this lean-to was being used as a private camp and using Google Earth I could see a chimney and skylights in the lean-to roof and a large cleared area. When I reached the site, it was even worse than I expected. » Continue Reading. On August 29th, I visited the Gull Lake and Chub Pond trails in the Black River Wild Forest. I photographed all sorts of trail and wetland damage from All Terrain Vehicle (ATV) use on these trails. ATVs are not allowed on these trails, but the Black River Wild Forest area has a history of illegal ATV use, and I thought that the damage to these trails reflected more of the same. 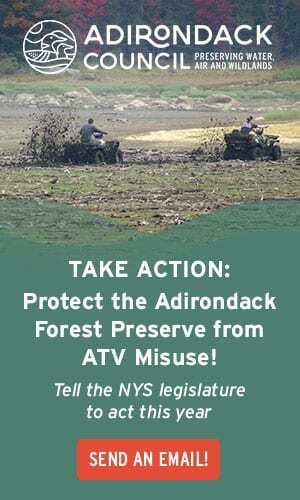 I had received reports about ATV damage in this part of the Forest Preserve earlier this year. The previous week I had spent time in the Ferris Lake Wild Forest inventorying trail damage from ATVs and photographing ATV side-routes around various barrier gates put up by the Department of Environmental Conservation (DEC). It appeared that the damage to the Chub Pond and Gull Lake trails was also caused by illegal trespass. The usual telltale signs of illegal trespass and recreational riding were evident. » Continue Reading. 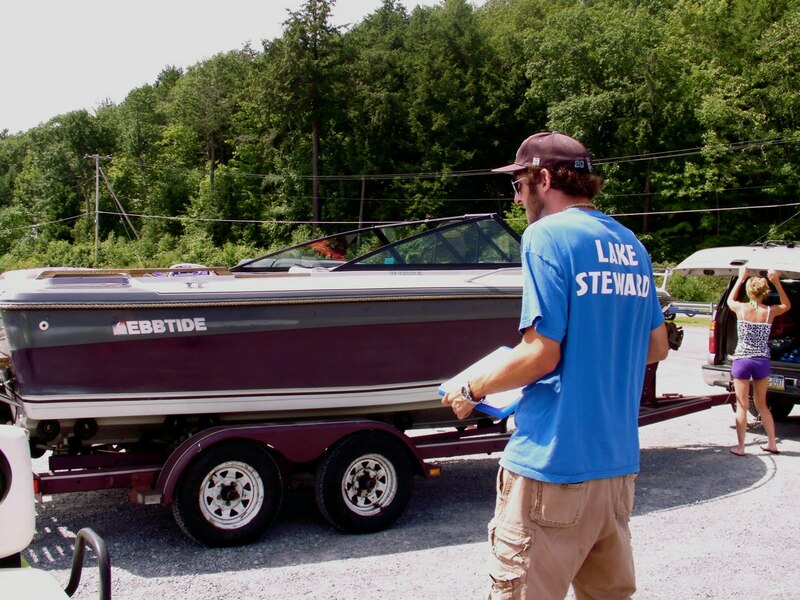 Legislation passed in June that bans the transport of aquatic invasive species (AIS) across New York has been sent to Governor Andrew Cuomo to sign into law. Similar laws are on the books in a number of other states. This legislation will significantly improve New York’s focus and ability to control AIS. 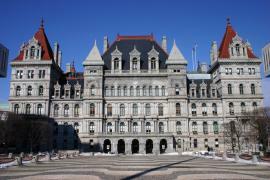 Governor Cuomo has until September 6th to sign this legislation. He should sign it. » Continue Reading. The Common Ground Alliance (CGA) recently met in Long Lake. One of the break-out sessions focused on reform of the Adirondack Park State Land Master Plan (SLMP), which is the policy document for management of the Forest Preserve. The Common Ground Alliance effort is one of a handful of organizing efforts around the Adirondacks where ideas are being collected to detail potential changes to the SLMP. 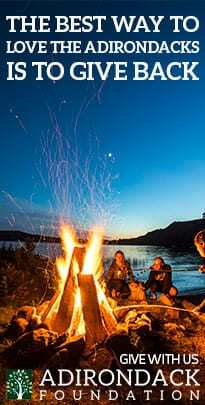 In its December 2013 resolution classifying the Essex Chain Lakes/Pine Lake Primitive areas and Hudson Gorge Wilderness area, the Adirondack Park Agency (APA) committed to examine several items for possible SLMP revision. 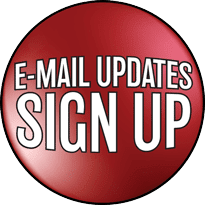 Since then, there has been no action by the APA or release of a public memo detailing a schedule for the APA to follow up the December 2013 resolution. In this void, various APA Commissioners have made comments at APA meetings, as has the representative from the Local Government Review Board, that express the desire that the APA undertake a revision of the SLMP well beyond the scope of the December 2013 resolution. The SLMP has worked effectively for 40 years. As a frequent user of the SLMP, I’m continually impressed by the durability and prescience of this regulatory document. Though it was written long before wildlands management developed as a professional field, it has served the Adirondack Forest Preserve exceedingly well. » Continue Reading. On the heels of the passage of Proposal 5 last November to sell 200 acres of Forest Preserve to NYCO Minerals, Inc., state agencies and NYCO are now going for broke in new permit applications for a massive expansion of NYCO’s two mines in the Town of Lewis. 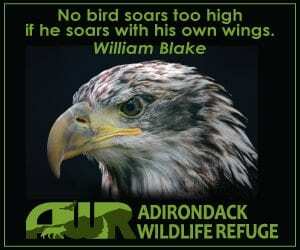 At the December 2013 meeting of the Adirondack Park Agency (APA) there was unanimous cheering among the APA Board and senior leadership over passage of Proposal 5. In those same weeks, NYCO began its applications to expand its two mines in Lewis. NYCO is seeking major expansions of both mines. With its political fortunes at an all-time high, the time is right to permanently change the scale of its mining activities in the Champlain Valley. » Continue Reading. 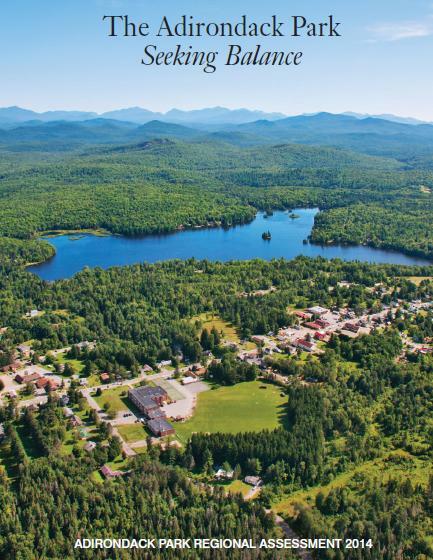 Recent pieces (here and here) in the Adirondack Almanack stressed the importance of placing the Adirondack Park experience and condition in a national context, especially with the rest of rural America. National context is important when trying to ascertain trends in Adirondack Park demographics, economics or land use. This past weekend, The New York Times data-crunching blog The Upshot published an interactive map that ranked the 3,135 counties in the U.S. by how hard or easy these places are to live. The indicators they chose to create this ease or hardship ranking were median income, unemployment, percent of population with a college degree, disability rate, obesity and life expectancy. 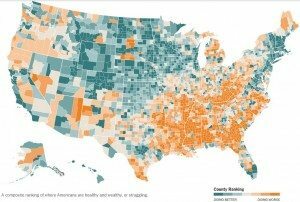 The Upshot said these metrics were selected due to the availability of county level data across the U.S., which provided a profile of economic and public health conditions. Disability was not used as a health indicator, but as a data point for the non-working adult population, which was used in conjunction with unemployment. » Continue Reading. 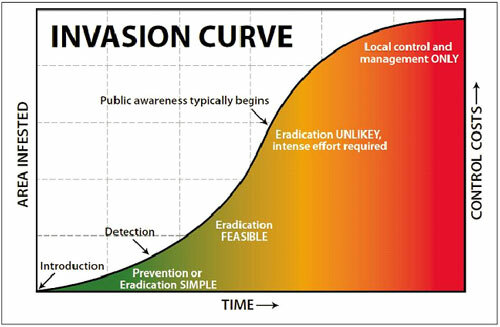 Legislation passed at the bitter end of the 2014 NYS Legislative Session included a historic bill that will help transition New York to a greater focus on the prevention and interdiction of aquatic invasive species (AIS). This bill was carried by Assembly member Barbara Lifton from Ithaca and Senator Thomas O’Mara from Chemung County. Both have communities engaged in trying to stop the spread of hydrilla (hydrilla verticillata) on Cayuga Lake and elsewhere. 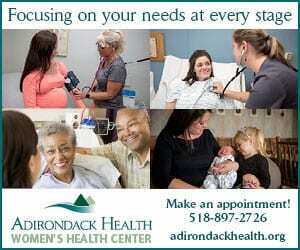 Adirondack legislators all supported this bill and Dan Stec was one of the Assembly co-sponsors. This bill is important for the Adirondacks because we still have many lakes and ponds that are not yet infested with AIS. While the list of infested waters grows and the number of AIS increases, we now have an important new tool to try and stop the spread. The Department of Environmental Conservation (DEC) finalized rules this month that prohibits the launching of boats with any visible plant or animal matter or standing water at DEC boat launches and fishing access sites. This is important but limited. This new legislation will allow the DEC to develop similar regulations for all public, private and commercial boat launches across the state. » Continue Reading. 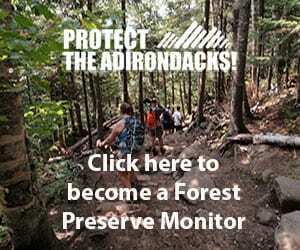 The Adirondack Park Regional Assessment Project (APRAP) recently came out with a 5-year Update. The APRAP Update provides new data on land protection in the Adirondacks, the Park’s demographics, school district enrollments, and the delivery of emergency services in local communities. 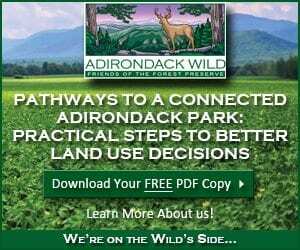 The main theme of the APRAP Update is that the Adirondack Park is out of balance. This lack of balance is depicted by a 2-page cartoon where an upended seesaw has flung children and loggers out of the Park, while waitresses, birdwatchers, EMS staff, and retirees, among others, stand firmly on the grounded end of the seesaw. 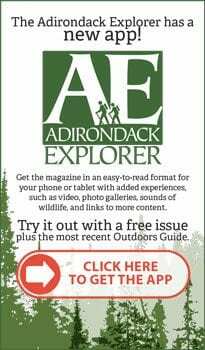 The APRAP Update has some useful information, but continues to try and make the case that the root of the problems and challenges facing the Adirondack Park are the Adirondack Park Agency (APA) Act and the growth of the Forest Preserve. We are asked to assume, because the Park is growing and the population is aging and shrinking, that the former causes the latter. (No note is made of the fact that the population grew along with the Park for most of the post WWII period.) Thus, the APRAP project continues to supply the intellectual fodder for the blame-the-park lobby. » Continue Reading. Today’s announcement that the U.S. Environmental Protection Agency (EPA) has released draft greenhouse gas emission reduction regulations for over 1,000 existing power plants is a major landmark in environmental history. EPA estimates that 83% of greenhouse gas emissions are from carbon dioxide (C02) released into the atmosphere. As a group these coal-fired power plants are the single largest sources of C02 pollution in the U.S., producing nearly 25%. These new rules expect to produce a 20% reduction in C02 emissions at these plants by 2020 and 30% by 2030 (based on 2005 levels). » Continue Reading. Two major developments are occurring simultaneously with NYCO Mineral’s mining operation in Essex County. First, state agencies are trying to rush approvals for NYCO to begin “mineral exploration” on 200 acres of Forest Preserve in the Jay Mountain Wilderness, known as Lot 8, an action that was narrowly approved in a Constitutional Amendment last fall. Second, NYCO is also seeking a massive expansion of its Lewis Mine, which abuts Lot 8 and the Jay Mountain Wilderness. » Continue Reading. Three major hotel projects are moving through the state and local regulatory processes here in the Adirondacks. These projects include a top-to-bottom renovation and restoration of Saranac Lake’s iconic Hotel Saranac, a new 120-room Marriot Hotel and convention center in downtown Lake George, and the new 90-room Lake Flower Inn on the shores of Lake Flower in Saranac Lake. 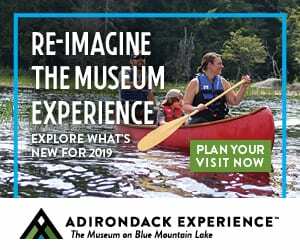 As a package this marks one of the biggest investments in tourism facilities in the Adirondacks since the expansion of the Sagamore Resort in the 1980s or the expansion of the Crowne Plaza in Lake Placid in 2004. Two of the projects are in line for significant state funding. The Hotel Saranac is approved for $5 million in grants and tax abatements and the Lake Flower Inn is scheduled for a $2 million state grant. » Continue Reading. One persistent myth in the Adirondack Park population debate is that environmental regulations and the Forest Preserve drive young people out of the Adirondack Park. In certain quarters this is considered gospel in the debate over the future of the Adirondack Park. The reality is that this myth is a myth. A great tool is being offered by researchers at the University of Wisconsin-Madison, who put together a fascinating interactive website with U.S. population emigration data 1950-2010. It lets one explore various population migration trends across the U.S. post World War II. 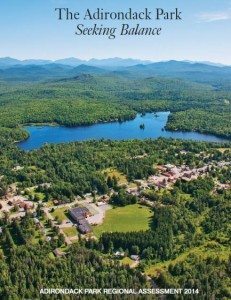 The UW-Madison site helps us in the Adirondacks see how our demographic trends track closely to the rest of rural America. Population decline in rural America has been driven by the loss of the rural manufacturing base that could not compete with cheap overseas costs. It’s been driven by the vast mechanization and contraction of the farm and logging work forces. For example, Iowa State University reports the number of hog farmers in Iowa dropped from 65,000 in 1980 to 10,000 in 2002, while the number of hogs per farm increased from 200 to 1,400. It’s been driven by the massive growth of online shopping and services (remember in the days before NetFlix when there were video stores in several Park communities). Government austerity programs don’t help rural areas either as public sector employment is always higher in rural areas as a total percentage of the work force. » Continue Reading. 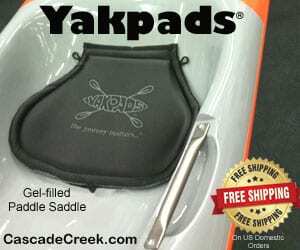 The NYS Department of Environmental Conservation (DEC) is proposing a new experiment trying to combine intensive public motorized recreational use and natural resource management. The DEC has released a draft Recreation Management Plan (RMP) for the Kushaqua Conservation Easement tract located in the Towns of Franklin and Brighton in Franklin County. Throughout this tract, the DEC is proposing to open a number of roads to all terrain vehicles (ATVs). The DEC went down this road once before in the mid-1990s when they opened scores of roads on the Forest Preserve to ATVs. 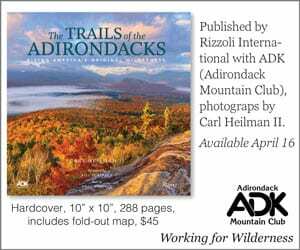 Though official processes were not followed at that time, scores of roads and trails throughout the western Adirondacks were opened to ATVs. Trespassing in other areas was also widespread across the Forest Preserve. 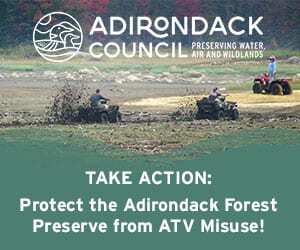 After extensive damage to roads, trails, and natural resources, the DEC and APA backtracked in 2005 and closed scores of Forest Preserve roads to ATV use. At that time, public ATV use on the Forest Preserve was seen by many as an experiment that failed. » Continue Reading. 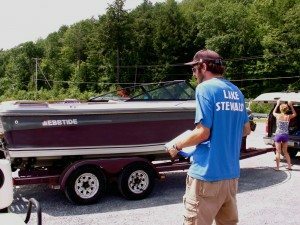 May 15, 2014 will see the beginning of a new mandatory boat inspection and decontamination program on Lake George designed to significantly reduce the risk of new aquatic invasive species (AIS) infestations. 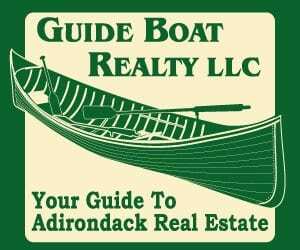 Each year, around 15,000 motorboats use Lake George, about 10,000 resident boats and around 5,000 transitory boats are trailered in from areas near and far. 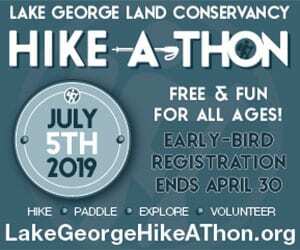 Lake George is one of the most famous lakes in the eastern U.S., known internationally for its high water quality, clarity, and scenic beauty. This new mandatory boat control program will generate a lot of interest and help to raise the profile of bold, serious efforts to prevent the spread of AIS. » Continue Reading. 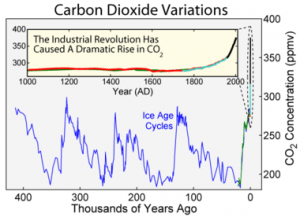 In 2014, global climate change denial not only persists, but is politically powerful and has effectively prevented the large-scale changes we need to start now to drastically reduce use and reliance on fossil fuels such as oil, natural gas and coal. We need to make this transition to avoid enormous negative changes that will make living conditions much more difficult in the decades ahead on a warmer planet. Recently, Donald Trump, who tweets to about 2.5 million twitter followers, sent a message about the “global warming hoax” after he watched an NBC News report about the wave of current subzero temperatures in the northeast U.S. There are a couple of things to note in this episode. First, Trump tweets to 2.5 million people, while climate change activist and author Bill Mckibben tweets to 111,000. Second, Trump distorts reality in a lazy self-referential way without looking at any evidence. 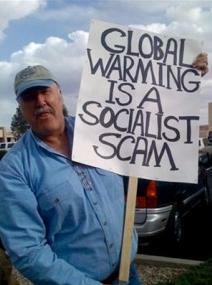 Had he bothered to look at any easily accessible long-term temperature data, he would have found that in the past decade far more records (they ran 2-1 in fact) were set across the U.S. for all-time-high temperatures rather than all-time-lows. » Continue Reading.